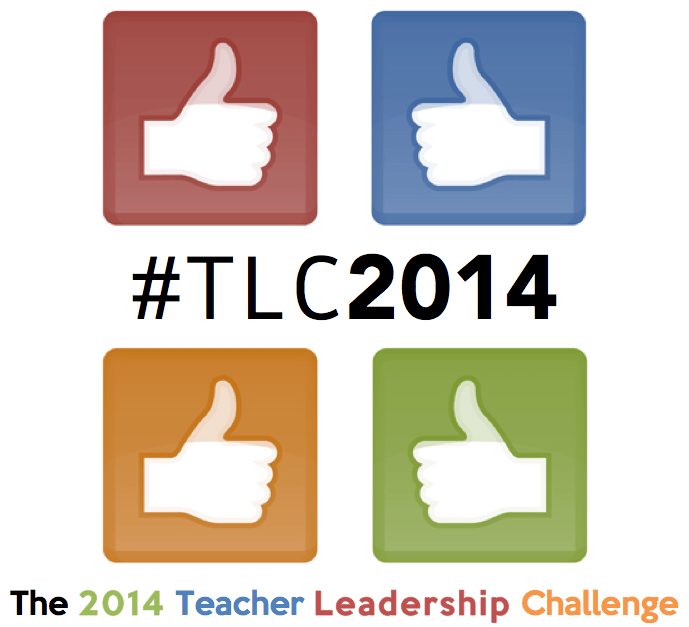 Teacher Leadership Challenge | April 7, 2014 | Gary G. Abud, Jr.
How can teachers best learn from other teachers? A single teacher in a single classroom teaching a single group of students. The door might be open, but there is not really a good vantage point to ‘see’ inside. As the nature of education and schools has evolved over the decades, along with the rise of the information age and the ability to share on demand through myriad media modalities, classroom teaching has remained largely a private endeavor. As teachers, we have become accustomed to the autonomy and independence that is classroom instruction. While the state sets standards, our schools establish curriculum, and our departments might have curriculum frameworks, we largely get to craft and deliver our own lessons as we see fit. Then where do all the ideas come from for our lessons? The private nature of classroom teaching is coupled to the notion of individual teaching style, or the unique aspects of ones own teaching. We say things like: “everyone has their teaching style” and “that’s an effective teaching style.” Teaching style is developed through ones own lessons, interactions within the classroom, and relationships built with students. As new teachers become more experienced, they settle into their teaching groove and eventually style. Some teachers continue to expand and develop their classroom practice, but others remain steadfast with their methods. Just like in other professions, the body of knowledge about how students learn, how instruction can be optimized, and how technology can enhance teaching and learning advances. What means do teachers have for keeping up with the forward progress of education, the developments in research, or the latest classroom approaches? The daily responsibilities of classroom instruction seem so full to the brim for teachers, it can be challenging to think of learning anything knew, collaborating, communicating, or connecting with anyone else, let alone applying anything new in the classroom. It is very easy for teachers to just close their classroom doors and focus only on their students as they have been doing, but is that what’s best for kids? We know that learning happens in a social context and that individuals learn from others, but what about for educators? Opportunities exist for teachers to attend conferences, workshops, meetings, and even to pursue new knowledge independently, but with the availability of digital media, teachers can also share in real time. When there seems to be no time to leave our classrooms to pursue professional development with other teachers, can classroom teaching become anything more than a private practice? Is there an opportunity where teachers can truly learn from other teachers? Could we share what we do with fellow educators? Are the opportunities there for teachers to learn from each other? If so, how can teachers learn from one another? How can teachers get exposure to different teaching styles? Is it possible that your teaching style can evolve by learning from other teachers or watching other teachers teach? Some schools are taking a page out of the book of the medical profession and conduct instructional rounds. Others send a cohort of educators through academies, to conferences, or workshops. Learning from other teachers by observing them teach, hearing them speak, or participating in workshops together are all ways that teachers can learn from others, but can sharing your own ideas from your classroom help you develop and advance your teaching? Is it possible to learn from others if no one is willing to share? Can we learn something about our own classrooms by sharing what we do with others? In what ways can teachers make their private practice public? How can we tell the story of our classroom in such a way that it triggers reflection on our part and inspires others? How can we best learn from the classrooms of others and the work that other educators share? Many educators regularly share their classroom ideas at conferences and using social media, but how can teachers best learn from one another to advance their teaching and ensure high levels of learning for all? Ultimately, teachers would love to have the opportunity to collaborate with colleagues more, but the reality is that is not always possible. What policies, processes, and norms are established at the classroom, school, district, and profession level to allow for teachers to share their classroom practice with others and engage in professional learning? Is it acceptable to share what you do in your classroom at a conference, workshop, meeting, or on social media? How can teachers share and learn from one another within the confines of their schools as well as in the boundless arena that is social media? What supports need to be in place to create a culture of sharing and learning among teachers that mirrors that classroom climate of learning we want for our students? 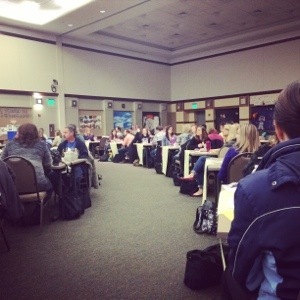 Image Credit: Galileo Teacher Leadership Academy | Gary G. Abud, Jr.